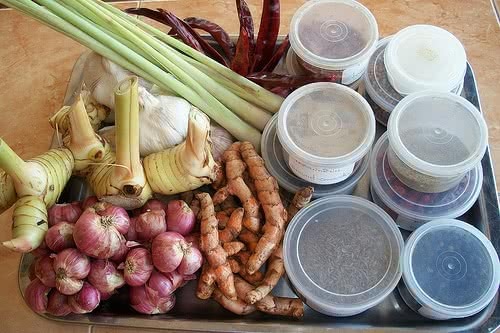 Surprise you're near and dear by cooking original Thai dishes, the most interesting and delicious dishes in the world! 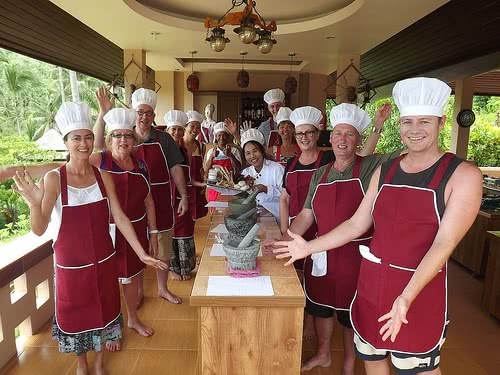 These classes take place at the wonderful villa not far from the sea, with a large pool and excellent restaurant, where cooking classes take place twice a day, 6 times a week. 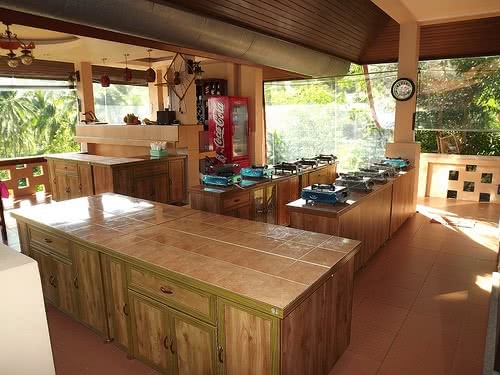 The menu consists of 3 dishes and a dessert, each day a week menu is different. 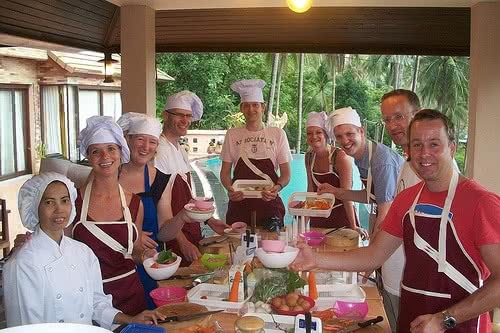 You will learn how to cook original Thai dishes: main course, dessert, soup, curry, etc. 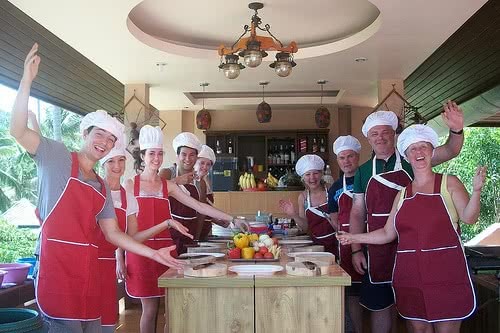 After classes, you will be able to taste what you have prepared while sitting in the wonderful restaurant and enjoying the beautiful sea view. You will get the certificate and booklet with recipes. Banana in Coconut milk – For free! 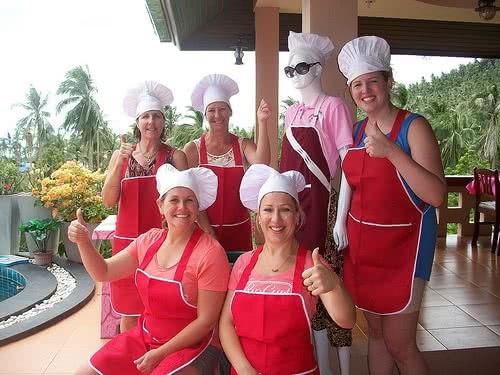 Reviews for "Chanita Thai Cooking Class"
Don't go here! Waste of money and a bad day. No Chanita, but Dave. Not a nice welcome, asked for the money first. Talked very degenerating, felt like he didn't want the cook. 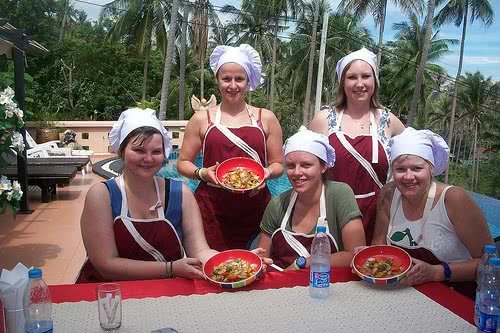 Did most of the cooking for us and we were gone whitin an hour. Not even 1 drink included. My best advice; please go somewhere else. 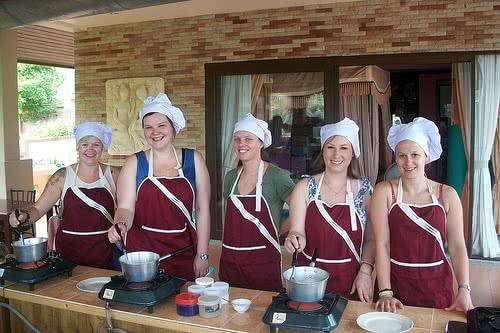 We started our cooking class by 10:30 and were hurried through everything and told "Thai cooking very fast! Fast fast! "- so fast that we had finished making our 3 dishes and were sat down to eat by 11:00am..left by 11:45. Food was incredible but we felt all we did was chopped meat and vegetables- seasonings etc were added by the chefs assistant so we didn't do much and as a result the experience was over far too quickly for the price (1500b) we paid. Desert is brought to you, you don't make it. Nice clean environment and friendly guy but we felt there could have been a lot more to it!